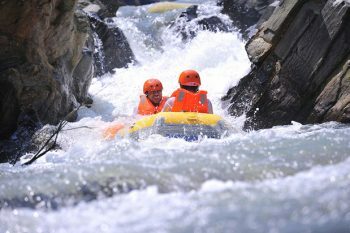 As known as a land of coconut and one of the major agricultural products in the Mekong Delta, it is an interesting landscape that you can take a boat ride along the river of coconut island with the fresh air of laid-back villages. 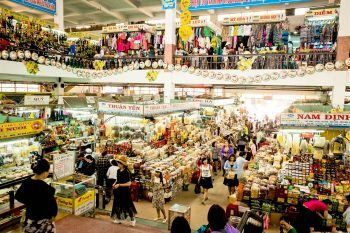 With Ben Tre 1 day tour, you can find a lovely eye by discovering the charm of its small village and its green natural and enjoying the most famous food in Vietnam. 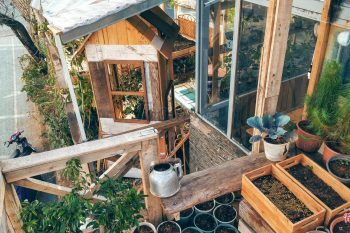 If you are looking for a day trip escape away from the bustling city centre, Ben Tre definitely is the good ides for all of the nature lovers. There is a direct bus departing from Mien Tay Station and arriving at Ben Tre. And this is the faster and cheapest way if you are planning to go on your own. The bus will take around 2 hours to get Ben Tre one day tour which costs around 80,000VND. The second option is booking a day motorbike tour. So you will have a chance to see other ways of life throughout each amazing location in the countryside along the way. 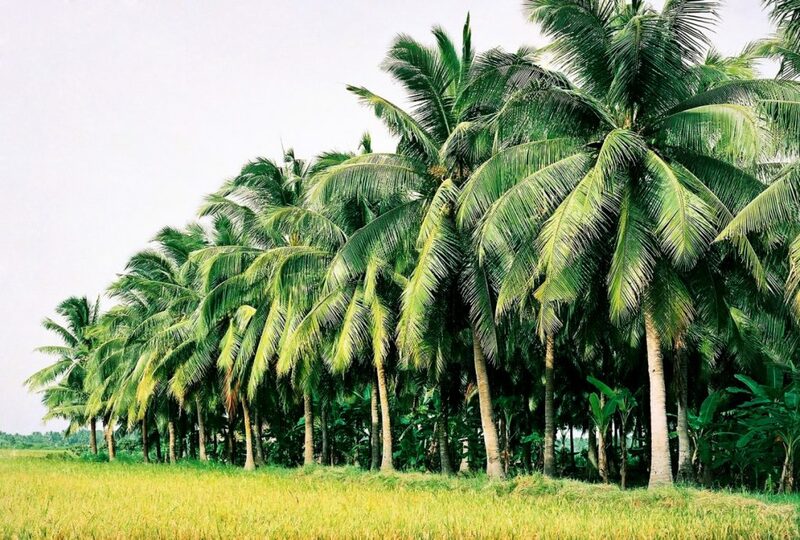 Once you travel slowly in Ben Tre 1 day by motorbike, foot or even by boat, you will see the endless lines of coconut trees anywhere in Ben Tre. Coconut is one of the symbols of this land. Locals here use all kind of coconut tree in their daily life. 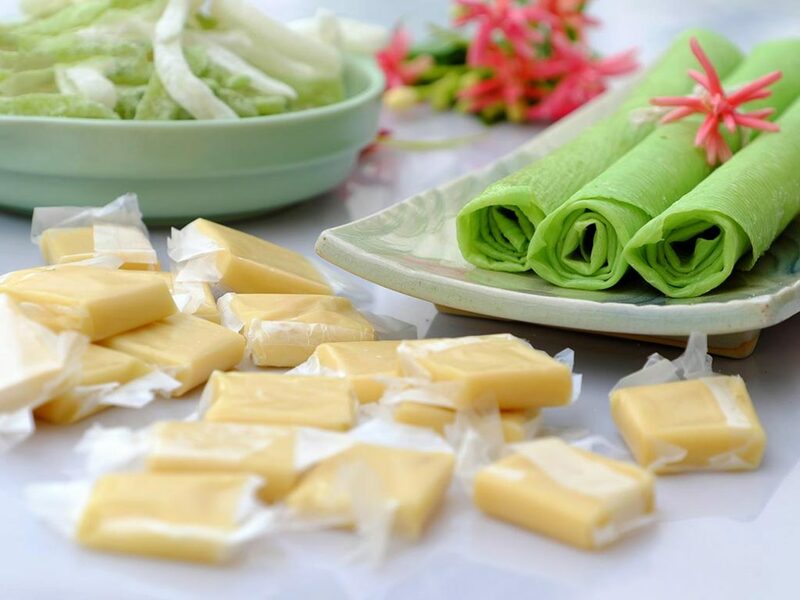 You can see several traditional houses with coconut leaf thatched roofs and walls, drink the most taste coconut juice – Pineapple Coconut -, visit the coconut candy factory. 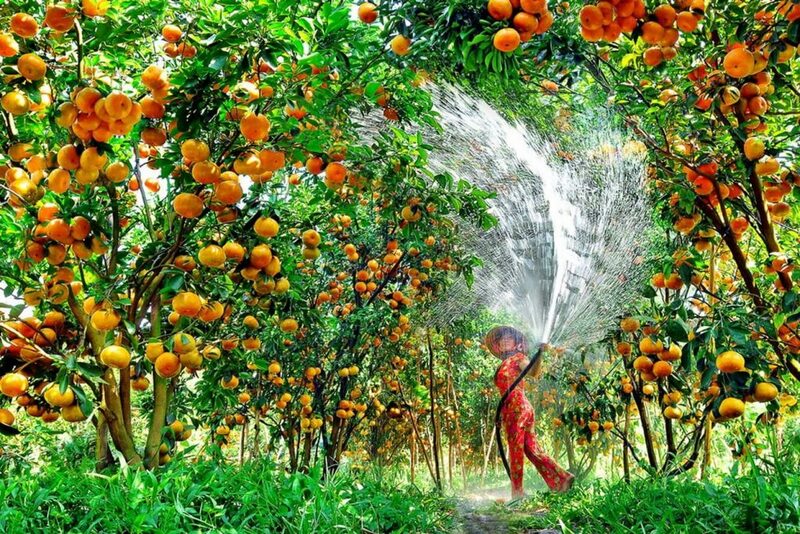 This is considered as the cradle of fruit crops in Southern Vietnam. Across tropical fruit farm, you can see and find the variety of tropical fruit of your way to experience with lots of nice and fresh all tropical fruit styles in any season of the year. Besides fruits like rambutan, mangosteen, langsat or more, Cai Mon Village is also famous with flowers and ornamental plants gardens. This is one of the most tourist attraction of Ben Tre that you can enjoy the ripe crops at the fruit orchard and also extend the experiences in the middle of flowering farms. It is a unique ecological era in the Mekong River. 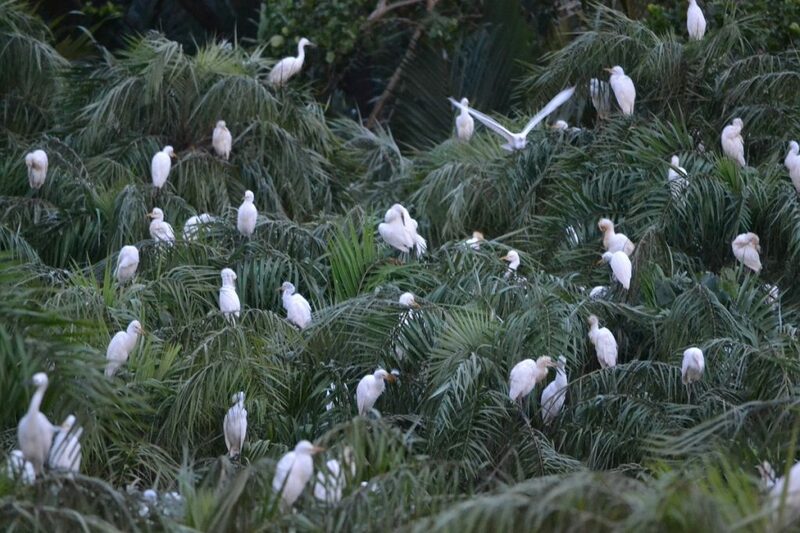 Ben Tre is blessed with an incredible natural asset including water coconut, mangrove and reed, etc be together to provide the perfect habitat and ecosystem for 84 feathered species. It has created a showcase of this area’s natural beauty where birds and wildlife are living in harmony surrounded by mangrove forest and the sound of thousands of birds mixing in the air. Having a bird-watching on a boat will experience the relaxing and inspiring in this unique garden of Ben Tre. 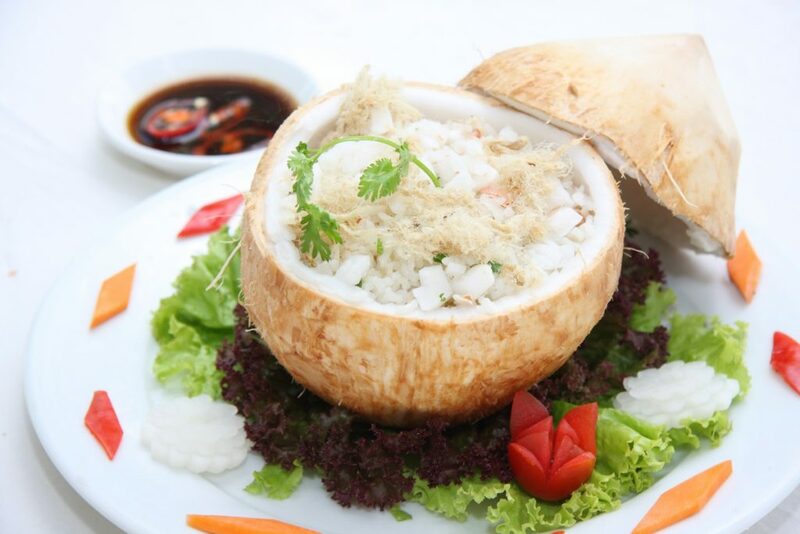 One of the symbol dishes must be mentioned and try is coconut rice. The rice is richer and slightly sweeter cooked with white rice and coconut milk. The perfect meal will serve with fried shrimp and coconut water. 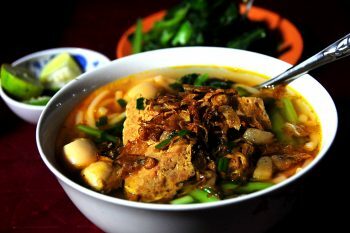 It is one of favourite street food tour in Ben Tre. The locals often cook snails in coconut milk with the mixture of lemongrass, garlic and chilli. You will not only have a taste of coconut in the snails but also have a part of the experience in eating like a local. 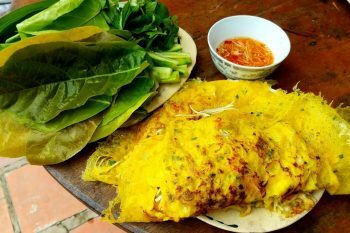 One of the most typical Pancake on The Mekong Delta. The most important ingredients are Oc Gao (Snails) and smaller termite mushroom that are the unique pancake of Ben Tre province. It is a very special taste when you try the crispy pancake with the sweet taste of both snails and mushrooms.